When looking back at Bud Selig’s legacy as commissioner of Major League Baseball, there are plenty of additions and innovations to the game for which he’ll be credited. Expanding to three divisions per league, for example. Adding wild card teams to the postseason. The wave of new ballparks being built throughout MLB. 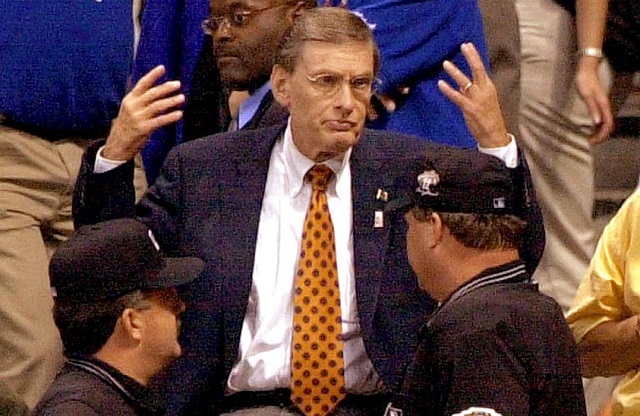 One stain on Selig’s legacy will be his idea to have the winner of the MLB All-Star Game determine home-field advantage in the World Series. But with baseball’s new collective bargaining agreement, finalized on Wednesday, that particular stain has been wiped from the game. Several outlets, including the Associated Press, report that the All-Star Game outcome will no longer have any bearing on which team gets to host four home games during the World Series. Letting the All-Star Game determine home-field in the World Series was always a silly overreaction by Selig, prompted by the 2012 All-Star Game (in The Commish’s hometown of Milwaukee) being forced to finish in a 7-7 tie because both teams ran out of players in what had become a non-competitive exhibition. 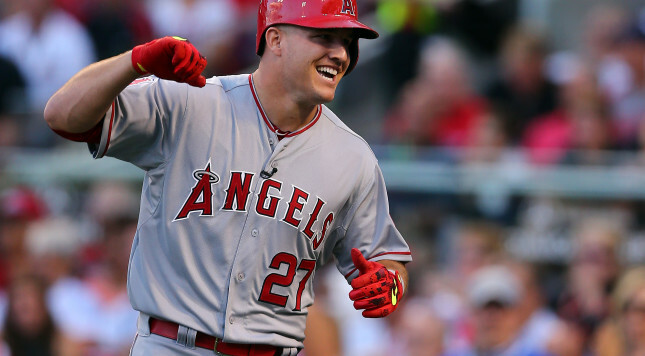 Seeking to add some spice (and competitiveness) to baseball’s midsummer classic, MLB added some stakes to the game’s outcome to avoid become an annual source of national ridicule. The decision was also a concession to Fox, worried that viewers would increasingly turn away from an event that had lost considerable sizzle. “This Time, It Counts” lasted 14 years with the MLB All-Star Game, with the winner of a midseason exhibition in which fans vote for the starting lineups determining which league has home-field advantage in the World Series, rather than which team had the better regular-season record. Yet despite Selig’s best intentions toward making the All-Star Game competitive, attaching home-field to the outcome was an unnecessary stipulation. Whether or not players played to win the game or an All-Star for a last-place team made an impact, the natural course of the 162-game regular season tended to reach the appropriate conclusion. Originally intended as a two-year experiment, MLB and Fox decided to keep dangling that carrot over the All-Star Game, as the exhibition had once again become competitive. Furthermore, the debate over whether or not the game’s outcome should determine something as important as home-field advantage in the All-Star Game was an annual topic of conversation on sports talk radio and sports debate TV during the three-day All-Star break, one of the slowest weeks on the sports calendar. Fans and media may have complained plenty about the rule, but they were talking about baseball, which wasn’t a bad thing for the sport. Thankfully, MLB’s silly decision wasn’t a major factor in determining each season’s World Series champion. During that 14-year run, the American League won 11 of the 14 All-Star Games played. In eight of those years, the AL went on to win the World Series. Did the rule make the game more competitive? Nine of the 14 games had a final margin of two or fewer runs. So, maybe? But there was also a 9-4 result (2004) and 8-0 game (2012) among those 14 games. Just like most baseball games (especially ones with both sides evenly matched), All-Star Games are likely to be close more often than not, with a few blowouts sprinkled in. Give Selig and MLB credit for trying something different, adding stakes to what’s always been an exhibition (albeit one that was more competitive when the American and National Leagues didn’t play each other until the World Series). However, it was also an attempt at an easy fix for a far more complicated problem. If the intention is to make the All-Star Game more competitive, it should be more like an actual game, rather than letting fans vote on the starting lineups and managers having to assemble rosters while also making sure every MLB club has at least one representative. However, those measures were implemented to make the game more fan-friendly and more fun. MLB tried to have it both ways, and it never really worked. Fortunately, after 14 years, the owners and players reached the same conclusion while hashing out the new collective bargaining agreement. From here on out, “This Time, It Counts” will be the joke it always should have been.